The deadline for Super Bowl 2014 is only a few days now. As the most awaited game of the year will kick off on February 2, 2014, the organizers are really busy with the arrangements. In addition to them, the businesses are busy with their campaign for Super Bowl 2014 which also includes coming up with the most popular Super Bowl 2014 Ads as well. Since the Super Bowl is the biggest sporting event of the year and millions of people watch this event, the businesses also take this seriously and come up with new ads to bond with their clients. As the cost of a 30 second ad will be around $4 millions, businesses are more concerned about their return on investment as well. However, there is a big list of big brands who are willing to make the expenditure and confident that they will get in touch with their market segment as well. 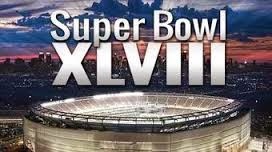 We have already found a number of Super Bowl 2014 ads which are already being aired and they will also be aired in the middle of a Super Bowl as well. While we have found a number of Super Bowl 2014 ads really interesting, one particular ad of Heinz grabbed our attention with its unique features. This is one of the most popular brands in the country and it has come up with the Heinz, Super Bowl 2014 ad for its loyal customers and game fans. While the competitors have gone for groundbreaking technologies and engaging campaigns, Heinz has gone the other way around. Instead of bombarding the audience with the complicated message, they have gone for a simple yet engaging approach. The Heinz Super Bowl 2014 ad is actually a part of encouraging ketchup fans to share how they enjoy Heinz products. They have also come with specially marked ketchup bottles that can be found in restaurants and in stores from now until February 23, 2014. They will also have a QR code on the back will take you to a landing page where you can enter a photo with a favorite Heinz product for the chance to win more than $400,000 in prizes, including five grand prize trips to the five biggest championships sporting events of the winners’ choosing over the next year. For more on the “Show Us Your Heinz” campaign, visit this page. Senior Brand Manager for Heinz North America, Bill Ulrick had the following to say about their Super Bowl 2014 ad and campaign “Heinz’s participation in the Super Bowl is an opportunity to remind consumers of the love they have for this iconic brand. The commercial investment is part of a larger effort to renew our commitment to engage with our great fans." While different people have different opinion about this ad, we believe this is a clever idea where Heinz is trying to make bond with their customers. While others have gone for exciting or innovative Super Bowl 2014 Commercials, Heinz will certainly stand out from that crowd with their simple ad. It will also linger in the mind of the people as well since it is a little bit different from others. This is why; we decided to share a few words on this Super Bowl as on I4U.